Pregnancy-related back and pelvic girdle pain is a common condition varying from self-limiting symptoms of short duration during pregnancy to great pain and disability both during and after pregnancy. Pelvic girdle pain (PGP) generally arises in relation to pregnancy, trauma, arthritis and osteoarthritis. Pain is experienced between the posterior iliac crest and the gluteal fold, particularly in the vicinity of the sacroiliac joints (SIJ). The pain may radiate into the posterior thigh and can also occur in conjunction with/or separately in the pubic symphysis. The endurance capacity for standing, walking, and sitting is diminished. The diagnosis of PGP can be reached after exclusion of lumbar causes. The pain or functional disturbances in relation to PGP must be reproducible by specific clinical tests. The PGQ is a condition-specific instrument that assesses activity limitations and symptoms in patients with pelvic girdle pain. It was developed for patients with pelvic girdle pain during pregnancy as well as postpartum and can be used in research and clinical practice. 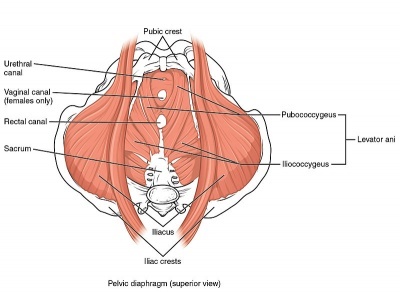 People with Pelvic Girdle Pain during pregnancy and postpartum. Self-report questionnaire of 20 activity items and 5 symptom items scored on a 4-point response scale. Each question is scored from 'Not at all' (0) to 'To a large extent' (3). Questions on the activity sub-scale range from difficulty with dressing, climbing stairs, doing housework, rolling in bed to pushing a shopping cart. Item scores are summed and transformed to yield a score of 0 to 100, where 100 is the worst possible score.